BRUSSELS (AP) — A suspected jihadi insisted Tuesday that he’s innocent of terrorism charges over the 2014 killing of four people at Belgium’s Jewish museum, as the jury in his trial prepared to consider its verdict. 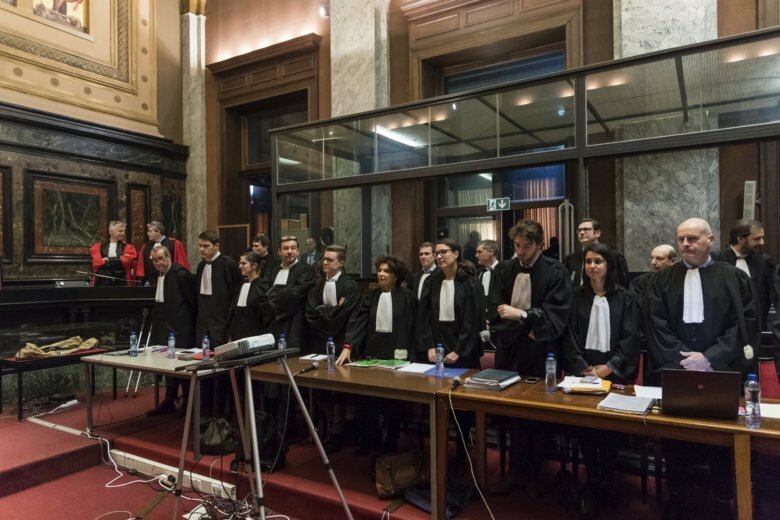 Weeks after telling the Brussels criminal court that he would reveal the truth “when the time is right,” Mehdi Nemmouche on Tuesday said only that he was “trapped” into involvement in the slaying. “If I could change things, I would change everything,” the 33-year-old Frenchman, wearing a black shirt and top and flanked by police officers in ski masks, said in remarks lasting less than 20 seconds. Nemmouche is charged with four counts of “terrorist murder” over the killing of an Israeli couple and two staffers at the Brussels Jewish Museum. His alleged accomplice, Nacer Bendrer, 30, stands accused of supplying the revolver and assault rifle used in the shooting. Prosecutors claim that Nemmouche trained and fought with the Islamic State group in Syria. The museum shooting crystalized fears that European extremists would use combat experience from places like Syria or Iraq to sow terror back home. The 12-member jury is set to hand down its verdict on Thursday. In a secret ballot, the jury must decide by a majority vote whether Nemmouche is guilty. He would likely be sentenced on Friday, and could face up to 30 years in prison. Whatever the verdict, Nemmouche would remain in prison as he must face charges in France of taking hostages in Syria. In more than six hours of case summary last week, defense lawyer Sebastien Courtoy argued that Iranian or Lebanese security officials were behind the killings, and that one, or both, of the murdered Israelis could have been Mossad agents.